Patriot Wildlife Control is a U.S. military veteran and operated that specialized in the safe and humane extraction of all nuisance wild fauna. Where the company really shines is in their craft of animal proofing homes with a proprietary metal that is custom cut and fit to each home for a protected and attractive looking finished product. The company owner Richard Hodges has a saying, “If you can see it from the ground take it down”. There is a lot of pride that goes into each and every home and this is why residents of the city have spread the company’s name wide and far. 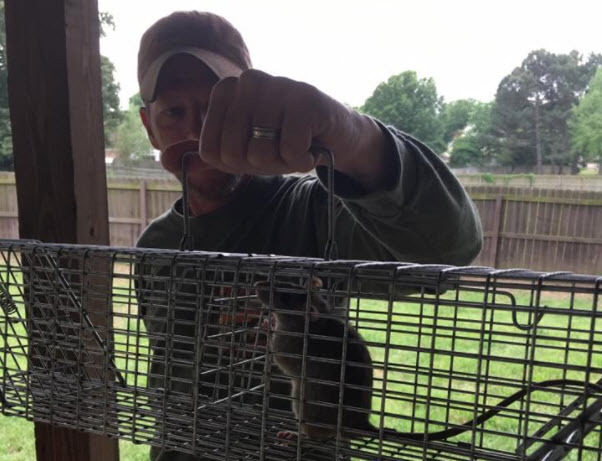 If you are in need of animal management services such as raccoon trapping, snake management, mole trapping, armadillo management, squirrel trapping or rat trapping, call today to set up an appointment. Arguably the most problematic of all nuisance fauna, roof rats can destroy grain supplies, spread disease, and damage the attics and rooftops of buildings. They often invade attics in the winter and spring to escape the cold or to nest and raise their young. During the winter, they are the most active this time of the year. It is because of the nature of mammals where they find protection and heat when it is cold. When you see signs that indicate rats are living under your roof, you better call the professionals as soon as possible. Roof rats are strong fauna that can damage the shingles, fascia board, soffits, and vents of the structures they enter. Once inside, they commonly destroy insulation, ductwork, wiring, and drywall with their urine, feces, and constant gnawing. Water damage can also become a problem at the entry point. How To Get Rid Of Rats In The Attic – Rats are one of the most problematic pest animals to deal with for those who have attic spaces, as they can squeeze through holes that are around the size of a quarter, while they are also prodigious breeders. They can successfully mate throughout the year, meaning that if you have rats in the attic, then there is a good possibility that they will have a nest of baby rats that you will need to deal with as well. Because of the diseases they can carry, you should also check up on the equipment that you will need to safely trap the rats without any risk to your health. Squirrels love to live in attics. They also love to chew and will chew on houses or wires, ducts, pipes once inside an attic. People don’t like the noises of these rodents running about above the ceiling or in the eaves, but it’s really the chewing that’s a problem. If squirrels chew on electrical wires in an attic, it can create a real potential fire hazard. They also bring in nesting material and leave urine and feces in an attic. If you have them in your attic, the total cost will probably run between $250 – $500 to exclude all of them and seal the entry holes shut. This cost will vary a great deal, depending on how many repairs are needed, what part of the country you live in, how many of them are in the attic, how many service trips are necessary, if you need cleanup, etc. If you encounter squirrels at your home do not solve this on your own. They have many diseases that they carry and one of them is rabies. Hiring professionals will not just get rid of this animal but also save you a lot of money from damages. Leave it to them to do what is necessary to trap the said animal as humanely as they could. It is very dangerous to handle raccoons yourself because of the risks of parasites and disease. Remember that raccoons are nocturnal. They are inactive during the day and are very active during the night. One of the main reasons why raccoons are invading our homes is because humans have destroyed or resided on their habitat. Residents should also be tidy when throwing their trash outside to prevent the raccoons from going through the garbage can. This animal can be very dangerous and aggressive when they are competing for food sources or are defending their den. For that reason, pets and homeowners can be at great risk when dealing with them that has decided to take up residence under a deck or stoop, especially if the animal is rabid. Therefore it’s recommended to use extreme caution when approaching raccoons that have come out during the day as this is a sign of disease. Also if you are not sure regarding the laws in your area to trap this animal, it is highly advised to hire a professional animal trapper to effectively and legally get rid of the raccoon problem. Besides live trapping, there are other ways to deal with raccoons. Habitat modification, eradication of attractive coverage and food sources all can aid in making your home less attractive to these nuisance fauna. However, once a raccoon has taken up residence these methods and tactics can be of little use. Always keep in mind, if your only solution is raccoon traps, more will simply take their place as vacant dens are always inhabited within a short time. Moles are very territorial. Getting rid of them is a little tricky. To be an expert in removing this vermin, you need a lot of experience. That is why professionals are trained to know what and how moles are thinking. Equipped with the right tools, moles can be excluded in no time. Since they tunnel so close to ground surfaces, moles often leave behind unsightly mounds of upturned dirt and kill grass and other plants when they burrow into the ground. As infestations of moles grow, they are capable of more destruction and can totally ruin otherwise aesthetically pleasing fields, as well as destroy crop yields for farmers. Additionally, the mammals inhabit sports fields, rendering them unusable. Employing mole management methods can be tedious and expensive. Moles can be very destructive to yards and need to be dealt with. There are measures you can take to get rid of them. The good news is moles don’t build colonies so you should only have to deal with 1 or 2 moles. When you’re beginning your efforts, you’ll want to make sure the mole tunnels are still active. Cover up the holes and wait a few days. If the holes are uncovered, you’ve got an active mole tunnel. Here are some tips for dealing with your mole problem. In the state of Tennessee, Germantown City in Shelby County has abundant wild creatures. They are sometimes a nuisance to the residents of the city. Fortunately, we have w trapping company and vermin management. The Patriot Wildlife Control company offers services including rat trapping, dead animal trapping, and raccoon trapping. We are animal pros, we manage wild vermins that are harassing your house or business. We are experts in removing them. If you are in need of dead animal trapping, give us a call. Discovering the root of the problem is the key to prevent further wild animal damages. You can do this by hiring a wild animal management companies. These professionals are experts in vermin management. If you are a resident of the city of Germantown Tennessee, the company is one of the popular vermin management companies. The company is an expert when it comes to squirrels in the attic that needed trapping and is a specialist on attic restoration. 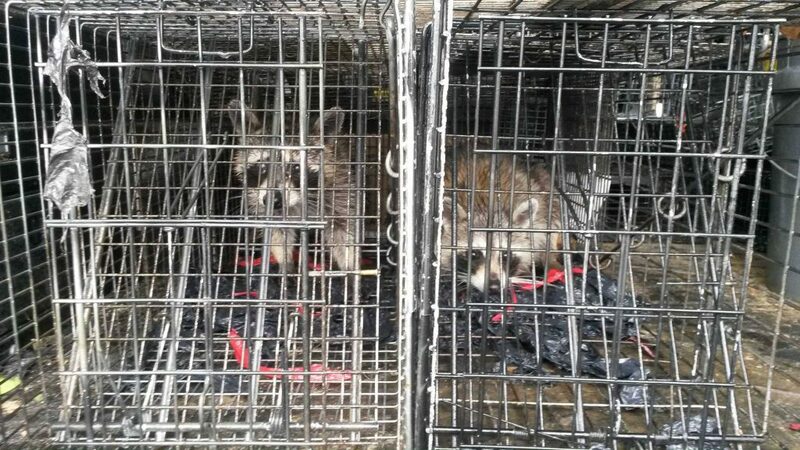 We are a Germantown wildlife removal that caters to trapping solutions at home or business. If you have fauna that are needed to be trapped, do not hesitate to give us a call.